Hello everyone, welcome to glitters all that. I hope you must have noticed the changes in the blog as I have added a tagline for my blog and it is “Glitter make everything Better” so as is the blog for to make u all look and feel better plus I have updated mobile view so it will be easy for you all to read the blog post on your smart-phone .So guys coming to today’s review it’s all about LAKMÉ ENRICH LIP CRAYON in shade 08 BABY PINK. 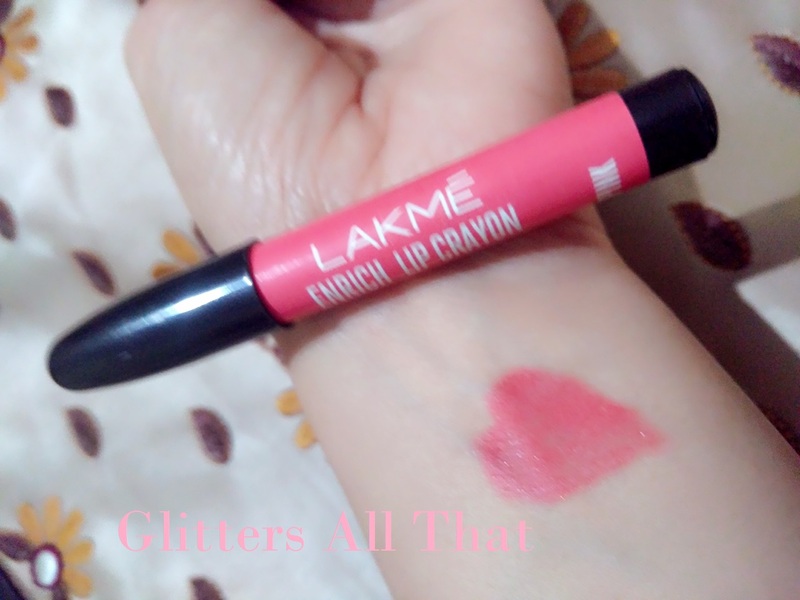 Lakme has few months back launched 10 shades in this lip crayon out of which every crayon go best with one or the other skin tone. Now coming to the review I was searching for shade which can go best with daytime casual look so i chose Baby pink shade. Now let’s see did this shade help me out or not. Unfortunately no ingredient list is given anywhere. 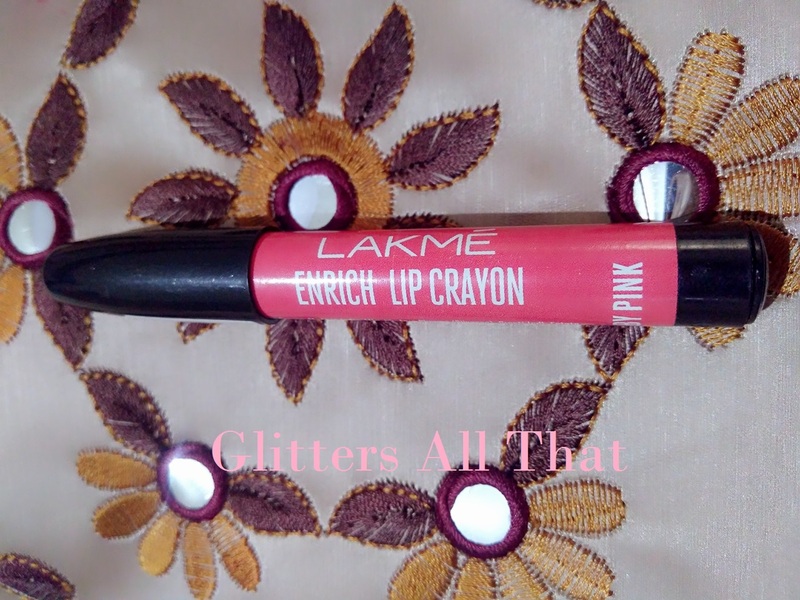 Lakme enrich lip crayon in shade 08 Baby Pink comes as other lip crayon. Packaging could have been better but as per price its fine. Coming to the shade it is a light subtle baby pink shade which goes best with medium to fair skin tone. It is very smooth in application and doesn’t feel heavy and keep the lips moisturized. It is very light shade and contains a granule of shimmer in it which makes it look very pretty. It gives a natural color to the lips. It could have been little more pigmented. 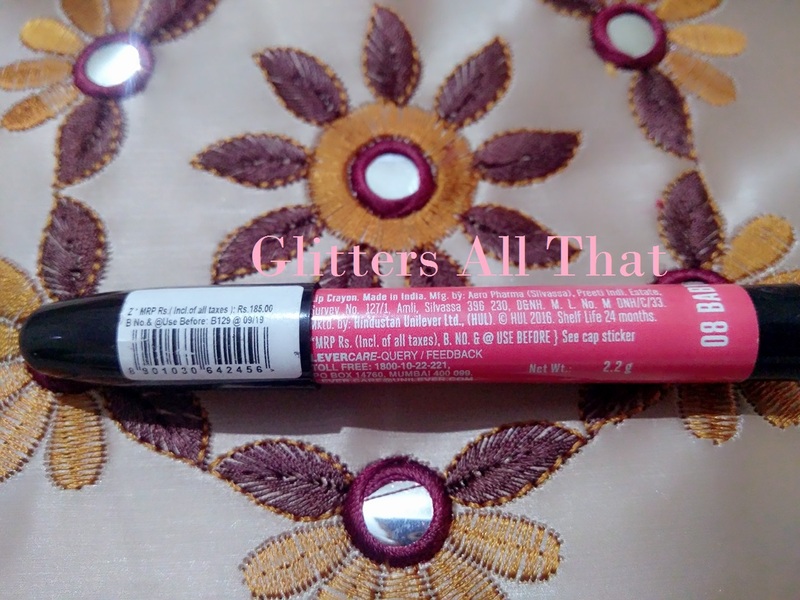 I have purchased it from NewU store and they have not provided me the free lip sharpener which I really didn’t appreciate as with every lip crayon lakme has provided a free sharpener which makes it worth having deal at this price. I would rate it 3.5/5 due to less pigmentation, not so good packaging and lack of ingredients list. 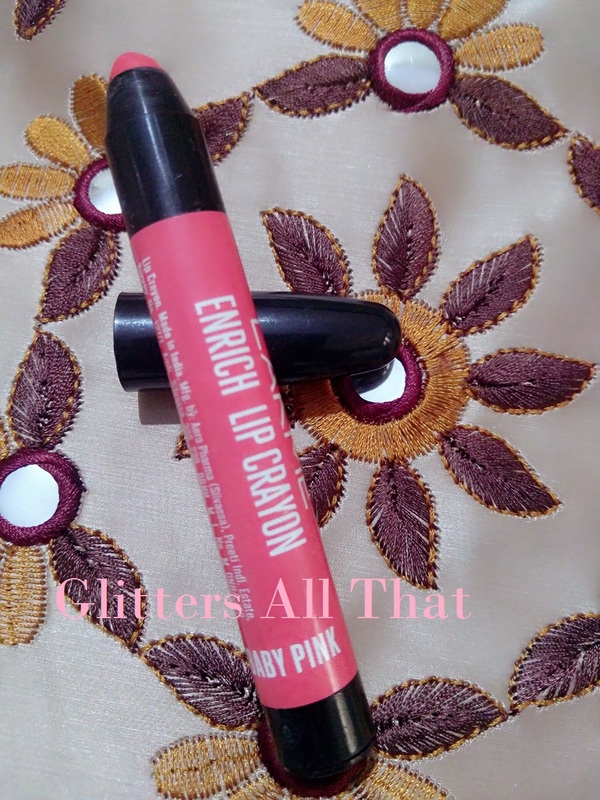 It is a good buy if you are tight with budget and searching for branded lip shade. Shade 08 Baby Pink goes well for a day look. This is perfect for working or college going girls and is easy to carry in bag. I would love to try other shades also.